Not just a cake anymore! 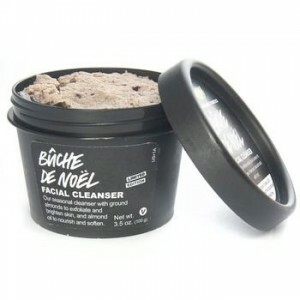 LUSH’s BÛCHE DE NOËL Facial Cleanser makes a great stocking stuffer. Eco-friendly! Ground almonds gently exfoliate away dead skin while kaolin clay acts as a mild, deep cleanser.